This year, Oscar nominations will be announced on Thursday, January 15th. As a result, most of the corresponding guilds won’t have announced their picks by then, so I’m making predictions in advance without being able to take those into consideration. I’ll be offering detailed predictions in most of the major categories, saving some of the biggest categories for last. 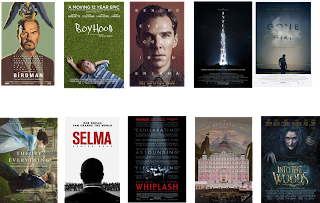 The rundown: This category usually likes Best Picture nominees, but not all the time, as evidenced by memorable snubs of “Inception” and “Brokeback Mountain.” Birdman, Boyhood, and The Imitation Game feel like sure things, but I think that The Theory of Everything and Selma will be edged out by Gone Girl, which is hardly a sure thing for Best Picture but should be here thanks to David Fincher directing it, since “The Girl with the Dragon Tattoo” won here without a Best Picture nomination, and Interstellar, though the snub of “Inception” does give me some pause. 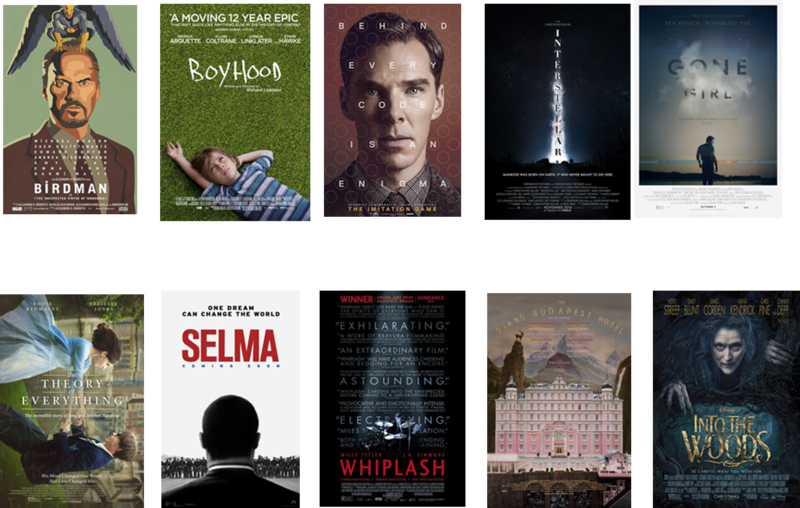 Whiplash and The Grand Budapest Hotel would be cool inclusions here. One possible crazy scenario: Wild manages to be recognized for a very deserving if underpraised element.